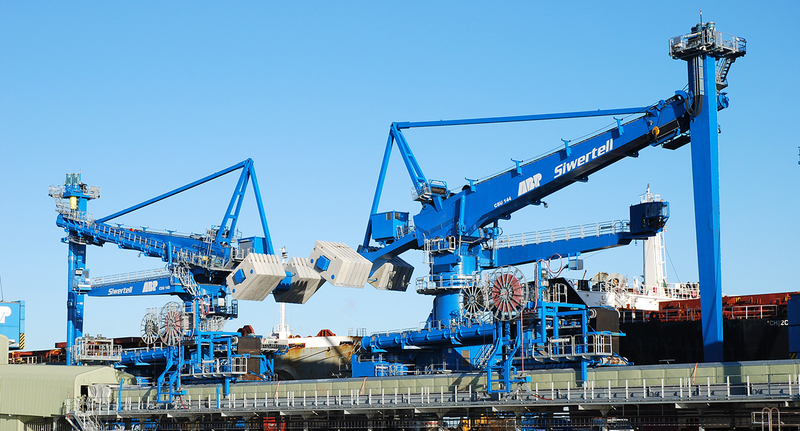 Two Siwertell multi-fuel screw-type unloaders serve Associated British Ports’ Immingham Renewable Fuels Terminal. Currently the ST790-D-type units are used for unloading imported biomass pellets to fuel the nearby Drax power station, which supplies between seven and eight percent of the UK’s electricity demand. UK power generators must comply with national regulations regarding the level of energy generated from renewable sources, along with EU legislation on greenhouse gas emissions. The Immingham Renewable Fuels Terminal (IRFT) is a multi-customer terminal designed to meet the increasing need for renewable fuels. At full capacity the terminal can handle about six million tonnes of biomass per annum. It may also be called on to handle coal. ABP needed clean, efficient, high-capacity unloaders, able to handle coal and biomass. Minimal cargo degradation was an important requirement, because the combustion process is adversely affected by fuel that does not meet the required specification. Finally, the system had to be inherently safe, as biomass presents a fire and explosion risk. 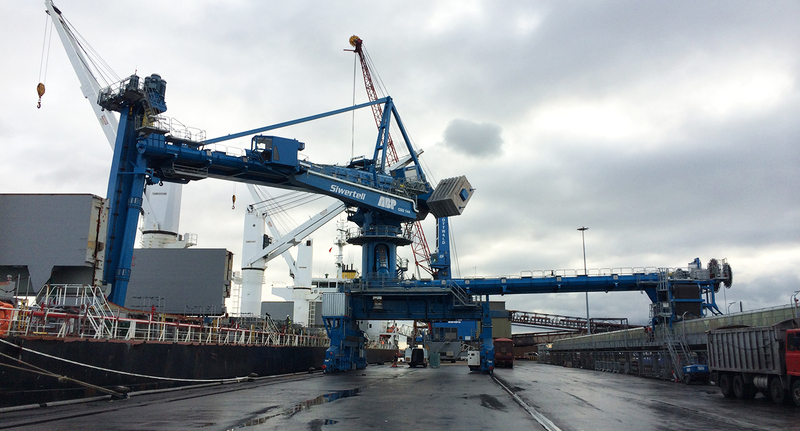 ABP approached Siwertell after seeing a Siwertell unloader in operation in Liverpool, UK. ABP was impressed by its continuous, high-capacity, dust- and spillage-free operation and ease of use in wind speeds of up to 56 miles per hour (25m/s). 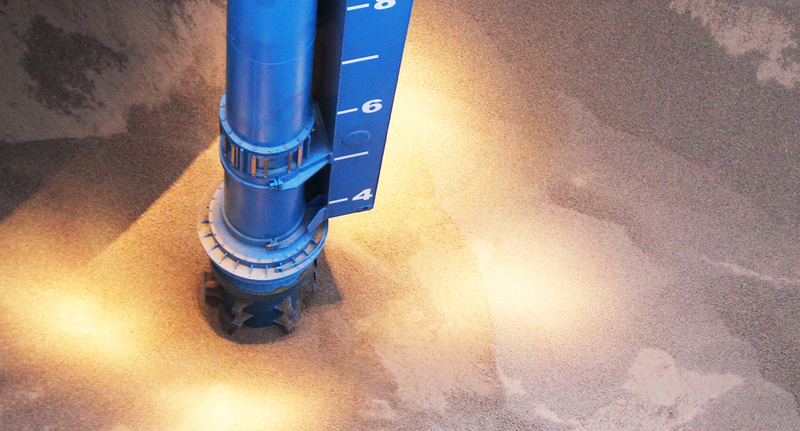 Carefully monitored tests and numerous customer references confirm that Siwertell screw-type unloaders deliver very low levels of cargo degradation. Therefore they are ideal for biomass and multi-fuel handling. Siwertell has lengthy experience of handling potentially dangerous dry bulk cargoes. Its award-winning 4S safe sulphur handling system minimises the risk of fire and explosion. It quickly extinguishes fire if it should break out and easily contains any explosion. Siwertell biomass and multi-fuel unloaders incorporate elements of the 4S system to ensure safe operations. Following a careful selection process, ABP placed a contract for two Siwertell type ST790-D multi-fuel screw-type unloaders for the IRFT, which is fundamental to the supply chain for biomass in renewable UK power generation. ABP reported a strong relationship with Siwertell throughout the delivery, installation, testing and commissioning phases. 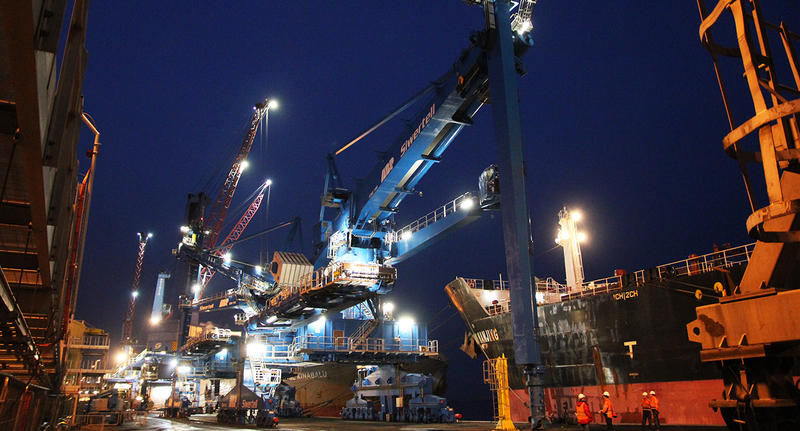 The unloaders, each with a rated capacity of 1,200t/h, are currently operating to ABP’s satisfaction. 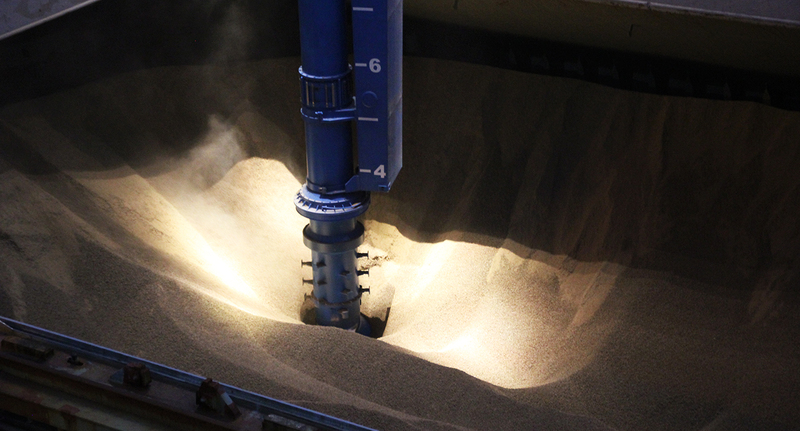 They are handling biomass pellets arriving from the US in dedicated self-trimming bulk vessels of between 25,000 and 50,000 dwt. When the terminal is at full capacity, the unloaders are in almost constant operation.